Hiro Nishikawa is a native of San Francisco and a Sansei (third generation Japanese American). During WWII as a three year old, he and his family were sent to Poston, AZ and incarcerated for the duration of the war. Upon returning to California from concentration camp, his family settled in Gilroy, where he finished high school. Hiro received a bachelor degree in biochemistry at U.C.-Berkeley and later a Ph.D. at Oregon State University in Corvallis. He and his wife, Sumie, have a grown daughter and a son. He has a eurasian grandson. 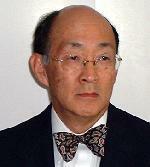 Hiro was engaged for nearly 30 years in biotech pharmaceutical drug discovery and development. He began as a bench scientist and retired as a group director in 1998. Hiro became involved with the Japanese American Citizens League (JACL) in 1997. He was installed as president of the Philadelphia Chapter in 2001. A long time avid photographer and lover of classical music, he has also been a studious reader of Japanese American history. More recently he has become active in social justice and anti-racism causes.